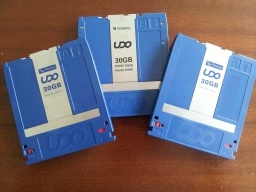 UDO 30GB or UDO2 60GB Disks need converting? Our friendly team is happy to help transfer your Optical Disks to recover the data, read the disks and save the data in alternative formats. 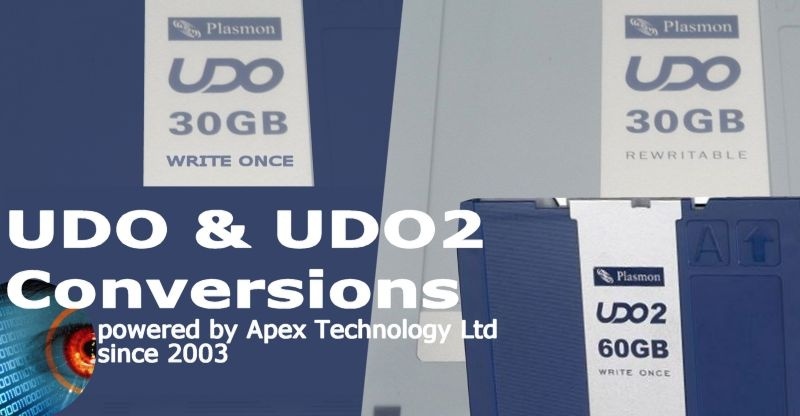 UDO and UDO2 optical disc storage media cartridges have 30GB and 60GB capacities and are branded Plasmon, HP, Verbatim, IBM, Xerox, Maxoptix, Alliance Storage Technologies (ASTI), Mitsubishi Sony. 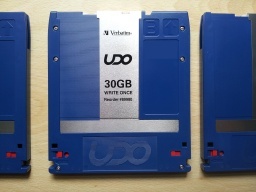 UDO disks can be Rewritable or WORM Write Once media. The WORM devices use their own proprietary filesystem which we can usually decode to extract your files to say a Windows Formatted USB hard drive. The disks are used in document archive systems like Pegasus InveStore v4.5 and v5.0. 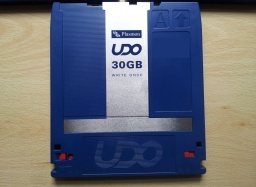 There was a plan in early stages to develop a 120GB disk, however we have not yet come across such media, and it is likely that the fall in price of hard disk drives has made this obsolete. The optical discs are and used in computer archival backup systems such as COLD storage, whereby the bulk of document storage is transferred to Optical disks for long term archiving, so freeing up hard disk drive storage for more recent work. Cartridge Size 5.25 inch or 90mm. Click for UDO Disk Transfer & Data Recovery News. Click for UDO Disk Transfer & Data Recovery Reviews. Plasmon G Series libraries can be used with IBM Power Systems, System i, System p, and System x servers. UDO & UDO2 30GB 60GB Conversions and data recovery problems that we recover data from are listed below. UDO conversions, UDO2 conversions, UDO2 disk transfer, UDO disk transfer, UDO data recovery, UDO2 data recovery. We recover data from UDO & UDO2 MO Disks Jukebox Library. Includes auto-changer,WORM, Plasmon, Verbatim, File Archive Systems.